Black Friday and Cyber Monday are two of the biggest and most advertised shopping days of the year. But there’s another day you might not have heard much about called #GivingTuesday. 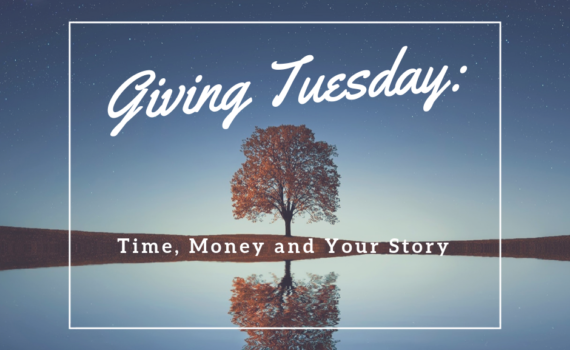 Celebrated today, the Tuesday following Thanksgiving (in the U.S.), #GivingTuesday kicks off the charitable season, when many focus on their holiday and end-of-year giving and center on giving gifts that inspire. Since its inaugural year in 2012, #GivingTuesday has become a movement that celebrates and supports giving and philanthropy with events throughout the year and a growing catalog of resources (Source). What’s so special about this day is that you don’t have to simply give your money. You can give the gift of time by volunteering at your favorite organization or maybe give back to an organization that’s impacted your life. Or if you have special skills, perhaps you can give pro bono by using that skill set to help nonprofits with their campaigns. The opportunities are endless, and www.givingtuesday.org is an excellent resource if you’re searching for ways to participate. Do you know what else you can give that can change lives, save lives and transform society? Your story. Stories are the ultimate gifts that inspire. It’s the gift that keeps on giving because it provides hope and help to someone who desperately needs it. Keep reading to learn how. Lots of things can deter us from telling our story, and I believe the main one is fear. What will people think? What if they don’t like it? What if they don’t like me? What if I’m criticized? What if I’m ridiculed? Maybe you can turn these fearful “what ifs” into something positive: What if you change someone’s life? What if you save someone’s life? What if you help someone who is without hope? What if your pain is the path to another person’s healing? What if writing your book and laying it all out there actually helps to heal you? There’s so much happening in our country right now. Giving a wrapped gift is a wonderful thing. But giving gifts that inspire by sharing your story has the power to transform a life and society for the better. You’re the only one who has your story. You’re the only one who can write it! If you or someone you know is ready to give gifts that inspire this holiday season, please contact us today and we can help you take the next step! When you set out to find the perfect gifts to share with your loved ones during the holiday season, it can be a difficult process. How do you approach this search? Do you start with what they love or would benefit them in the coming year? Do you then think about sales or promotional offers to get them these gifts at the best price? Do you think about a gift that could change their life? Do you know someone who absolutely NEEDS to write a book? Maybe they have a great story to tell but they have never been able to get their memoir off the ground? What if they have particular expertise in their professional field but they have stuttered to start their guide? Perhaps they’re well into their first book, but just need some guidance to get it to the finish line? 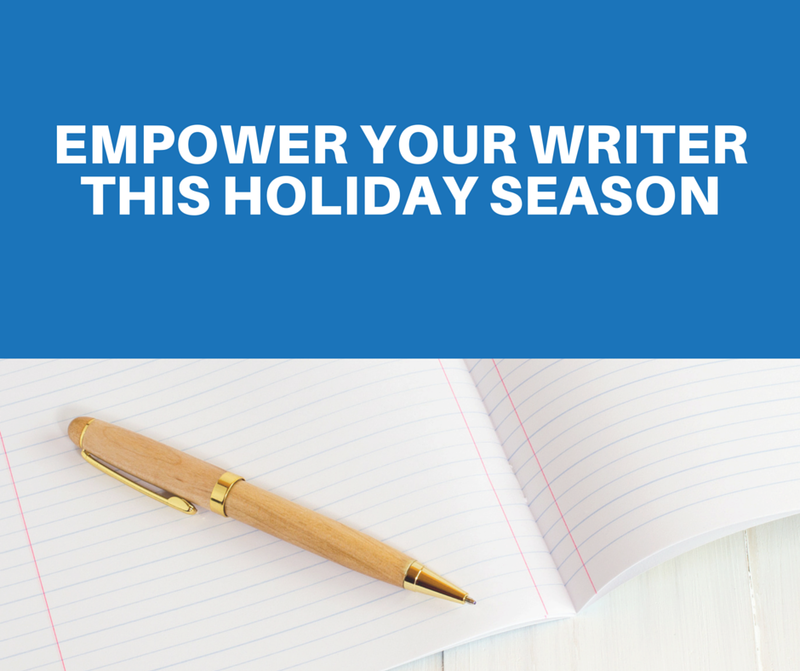 This holiday season I am pleased to offer a simple gift that can give your writer the support they need to finally tell their story in the new year! 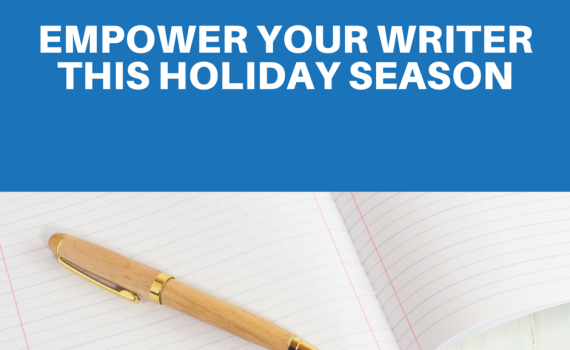 For a limited time I am offering gift certificates for a 30-minute consultation with me to kickstart the work of aspiring nonfiction authors. Share their powerful life story! They can make an impact with their message. With the right guidance they can maximize their time and create nonfiction books that change lives, save lives, and transform society. And what better gift to give someone than empowerment to finally tell their story? If you know someone who has struggled with clarity or struggled to start that first book, but you know they have something to share that people NEED to hear, this is your chance to help them crystallize their vision and write a book that is TRULY POWERFUL. For more information and to purchase your gift certificate, please click the image below!